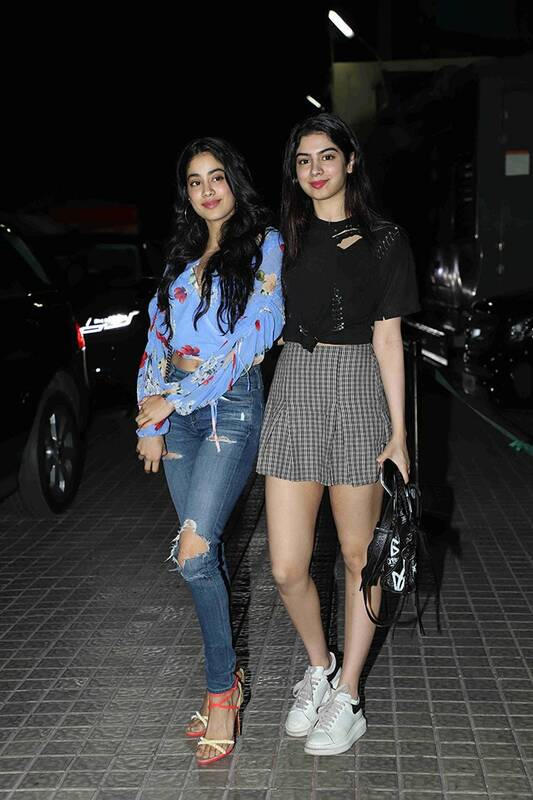 Sara Ali Khan was among the first the paparazzi clicked at a special screening of Kedarnath held in Mumbai on Wednesday. Sara's co-star Sushant Singh Rajput skipped the screening while Sara caught up with the members of the film industry at the screening. Janhvi Kapoor, one of Sara's close friends, cheered for her, along with sister Khushi. Actress-in-waiting Ananya Panday (of Student Of The Year 2) looked chic in red pants paired with a white shirt. Mohenjo Daro actress Pooja Hegde also got an invite. Yami Gautam was all smiles. Kedarnath director Abhishek Kapoor arrived with his wife Pragya Yadav, who is co-producing the film with Ronnie Screwvala. Arjun Rampal arrived with his rumoured girlfriend Gabriella Demetriades. Radhika Madan, who starred in Vishal Bhardwaj's Pataakha, was also there. Ishaan Khatter's plus one was his mother Neelima Azeem. Uri co-stars Kriti Kulhari and Mohit Raina attended the screening together. Bhagyashree's son Abhimanyu Dasani posed with Nora Fatehi. Sussanne's brother Zayed Khan kept her company. Kiran Rao also attended the screening. Maheep Kapoor and Anu Dewan were photographed together. We also spotted Sohail Khan at the movie. Jahnvi stopped to pose with her Dhadak director Shashank Khaitan. Khushi tagged along. Then there was Kunal Roy Kapur. Suniel Shetty opted for an all-black look. Ananya also caught up with Juno Chopra. Filmmaker Dinesh Vijan attended the screening all by himself. Madhur Bhandarkar and his wife Renu Namboodiri called it a date night.